Stock your kitchen with this Magnolia sweetened condensed milk and make your most popular dessert recipes even better! The 14 oz. can is great for restaurants or bakeries looking to enhance the sweet flavor and consistency of their baked treats. Made of milk sweetened with sugar, this classic ingredient will give you the assurance that whatever you make will turn out great. 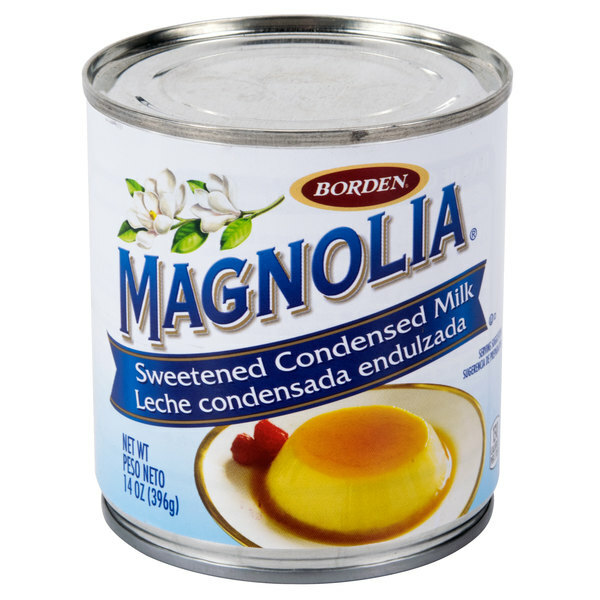 Magnolia sweetened condensed milk has been and continues to be a favorite among Mexican desserts and ethnic menu specialties like flan, Mexican horchata, and Vietnamese iced coffee. 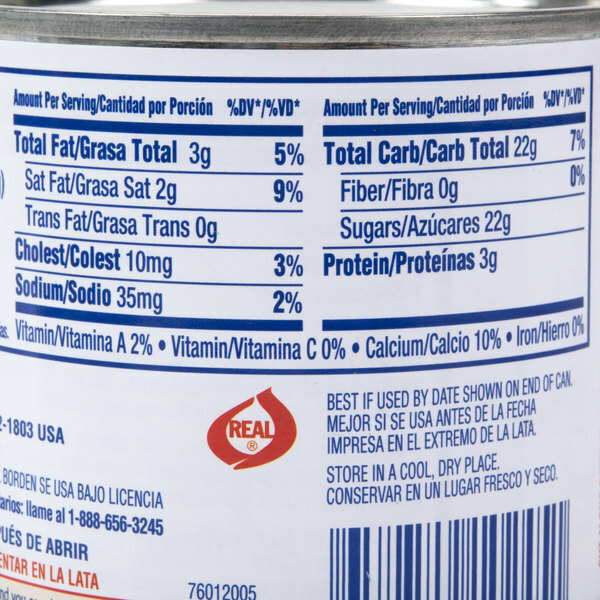 Bilingual labeling on each can is convenient for back-of-house preparation. This sweetened condensed milk does not need to be refrigerated until after opening, so it will reduce storage hassles in your busy kitchen. Creamy and sweet, it is perfect for a limitless number of delicious, moist desserts that are fast and easy to make. It's great as a topping, blended into specialty drinks, or added to your favorite recipes for top-selling sweet treats! Refrigerate this product after opening. Magnolia sweetened condensed milk is an excellent product to add to your desserts. It gives your desserts a nice sweetness and also adds moistness to it. The magnolia sweetened condensed milk has been my go to for years. This is perfect for cooking or for adding to coffee to give it that perfect coffee shop flavor for cheap. 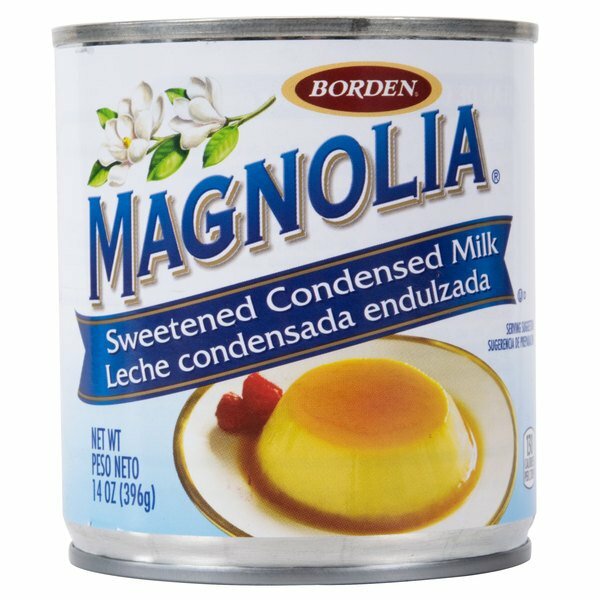 The magnolia brand of sweetened condensed milk is great and makes the best custard. The packaging is great and the price is perfect for our sweets shop. This sweetened condensed milk tastes great. We use it as a topping and as a coffee sweetener in our store. Having the coffee come in a can though is a bit of a hassle will probably switch to plastic bottles. we use this to make delicious caramel bars for our bakery, and had been buying this condensed milk from one of our suppliers but been paying much more. this works great and we're very happy with it! The sweetened condensed milk is great and a great baking ingredient. Great for making our custard fillings and very sweet. The cans are the perfect size for a batch. When looking for a product to make caramel thought I would try this brand. Love it... Creates a smooth silky texture to soft caramels and desserts! This sweetened condensed milk from Magnolia is excellent. The consistency is perfect. Not too thick, not too thin. And the sweetness is just right. We use this is almost everything. From cheesecakes to custards to blended desserts. You can never go wrong with this Magnolia condensed milk. Magnolia Sweetened Condensed Milk is good for creating desserts such as fruit salad. It has a rich, creamy and thick consistency/flavor; and the 14 oz. size can is good for making a batch of a specific dessert. My favorite use for condensed milk is easy dulce de leche. No stirring, no burning, no cleanup. Caramel flavors not your thing? Mix sweetened condensed milk, vanilla extract, & melted white chocolate for an easy ganache. Or add a spoonful to espresso for a sweet, creamy energy boost. These cans are actually the same price as in the supermarket, but delivered right to your door. I love condensed milk for everything, to bake with, to make different desserts and to even eat with a spoon. But I mostly use it to make dulce de leche, it's delicious!!! I don't really taste a difference between different brands of sweetened condensed milk, they're all sweet and creamy and delicious. Magnolia is the more expensive brand at my grocery store though, for what it's worth. I cooked this can to make Brazilian truffles and they turned out delicious. I love the flavor of sweetened condensed milk. One of my favorite ways to use it is in my iced vanilla lattes. A few tablespoons makes for a really creamy, sweet coffee. Good enough to eat with a spoon. However most of the time I am baking with it. Great product for condensed milk. The value is superb and the quality outstanding. A very good quality sweetened condensed milk from Magnolia that is rich and creamy. The perfect addition to my pumpkin pies during the fall season. Same stuff you'd get at a grocery store, just a better price. Comes as a flat full of 14oz cans wrapped in plastic and saves you some money! These are smaller than I had quiet envisioned when ordering, however, the cost was low and on-par with local stores. They arrived beautifully packaged and the taste is true. Great sweetened condensed milk that can be used in a variety of desserts and sweets in restaurants and home. The size is large for me so I have to transfer it to a squeezable container. we like to keep this sweetened condensed milk around the bakery for some of our special products. in the can it's got a good shelf life. it's a very good quality product and a great price. This is the cheapest you will find condensed milk. I use so much of this when making flans and especially caramel for my chocolate caramel covered apples. It's condensed milk. They pretty much all taste alike to me. This is as good as the rest. Many recipes call for this sweetened milk. It's also good just heated with a little vanilla added to it for a quick pudding. It can also be slow boiled for homemade ducle de leche. This condensed milk has good flavor. The price is good. They are great for Thai ice teas, Asian milk teas, Flans, I'ved used it on making Horchata and it came out great!! The flavor of the sweetened condensed milk just like any other and it's got really good flavor to it. When I first received my three cans all three were dented so I contacted customer service and they fix the situation immediately which was very nice and helpful. I do recommend this Brand the flavor is great! When buying the case, I think this is a great value per can. It is so much easier to purchase it through the website instead of going to the grocery store. 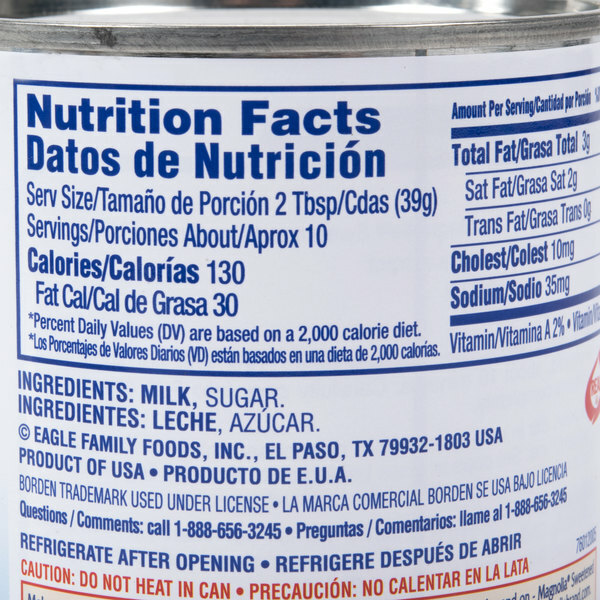 We use this condensed milk in our tres leche cake. It also is particularly good in iced or hot coffee. Some asian countries make flan out of it. What a great price for Sweetened Condensed Milk. I used it to make coconut macaroons and they were the best ever. Can't wait to use iy for dulce de leche ice cream. the can arrived securely, no dents etc. but i found it to be too much sweet and milky. I mean the very dominated milk flavor bothered me a bit. yes, it is condensed milk and maybe it is normal but i did not like it. 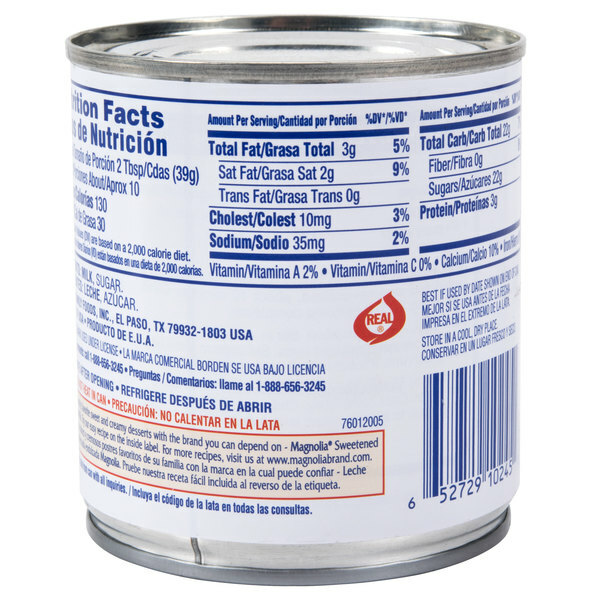 This Magnolia condensed milk is my go to for making dulce de leche, making certain custards, flan, and pastry cream. I love its color, consistency, and taste. My only criticism was how it was shipped. I wish that they had secured the cans, because many of them came to me dented. They did resend, but make sure to warn Webstaurant to package these cans well.